Many people have talked about Orphan crops – those where there has been little genetic or other research – and the characterization, evaluation and exploitation of germplasm at the #PAGXXIII Plant and Animal Genome Conference this week. Today, I am talking about work by Negash Worku on the Diversity and Characters in Ethiopian Linseed Accessions. SLIDES BELOW! Ethiopia is a centre of diversity for linseed, where it is valued for cultural reasons as well as use as food and for export. Limited amounts of the crop are grown widely in Ethiopia, which includes the unique climatic conditions of the tropical highlands (3-15°N, >2000m). A range of some 200 accessions were evaluated for diverse quality, agronomic and morphological traits. They were also genotyped with IRAP (InterRetroelement Amplified Polymorphisms). It is probable that the genetic diversity in this area has not been exploited in breeding programmes. The results show a range of characters which can be exploited, some appropriate for smallholder and commercial farmers in Ethiopia, producing a sustainable, secure, high-value crop meeting agricultural, economic and cultural needs. Analysis of sequence data is likely to allow identification of probes suitable for chromosome identification and potentially tracking chromosomes in breeding programmes. Linked here on Molcyt.org there is a preprint of the first paper reporting this work. 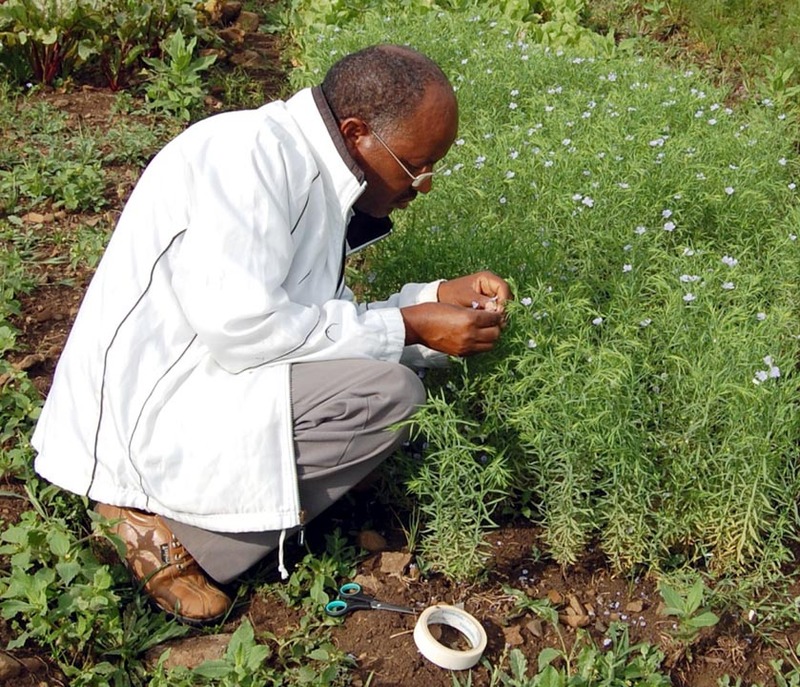 Our work with Ethiopian germplasm and the farmer-led trials is overviewed here. A related post on food security, our interests and needs in water usage and drought is here. Adverts below are not associated with this site! This entry was posted in Conferences, cytogenetics, Environment, Farming, News, Research and tagged Africa, biodiversity, botany, breeding, domestication, Ethiopia, farming, flax, genetics, genomics, IRAP, IRAPs, linseed, Linum, markers, molecular diversity, plants, retrotransposons, seeds, transposons. Bookmark the permalink.